to wish children sweet dreams. WHAT IS “MOONBEAMS FOR SWEET DREAMS”? “Moonbeams for Sweet Dreams,” is a program created by the Beaumont Children’s Pediatric Family Advisory Council at Beaumont Hospital, Royal Oak, MI. 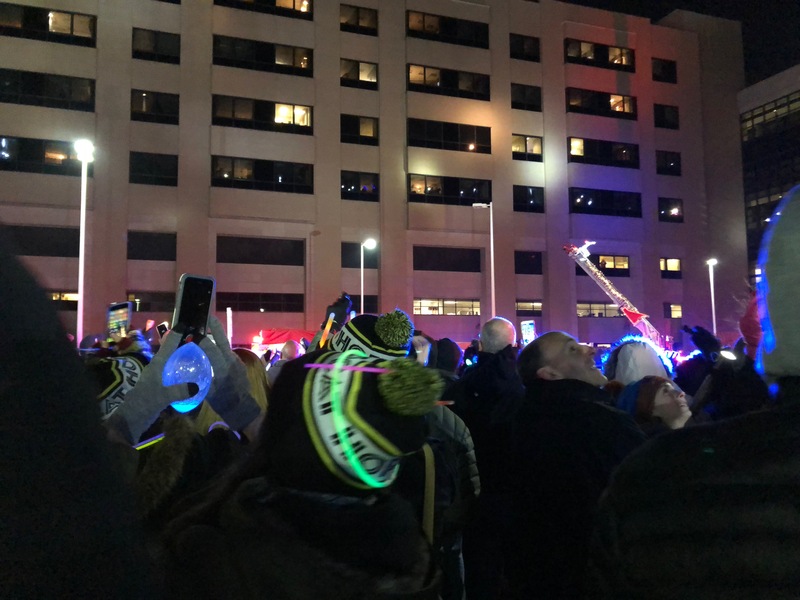 Every evening at 8 p.m. during the month of December pediatric patients will shine flashlights from the hospital windows and look for people from the community who are standing outside the hospital to flash them back. It only takes a few minutes, but it will mean a lot to these young patients and their families. 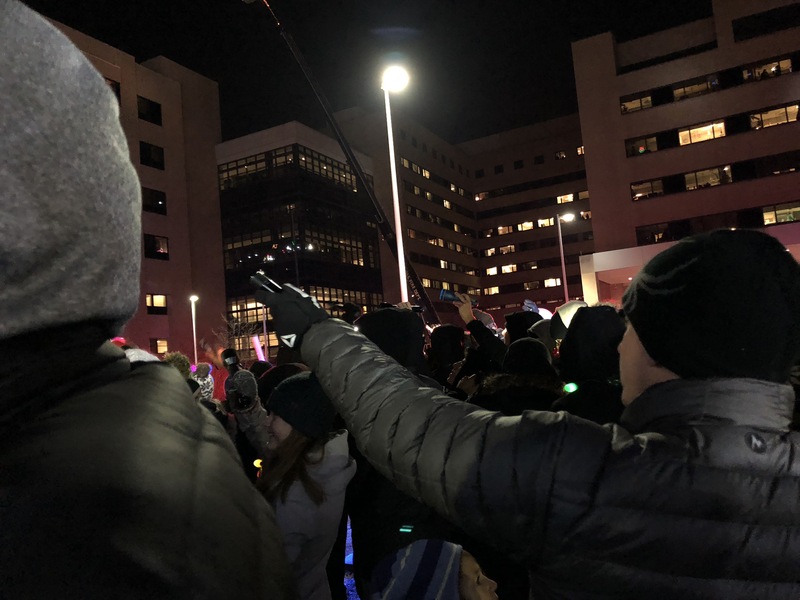 If you want to put a smile on the faces of some kids that are spending the holidays hospitalized … it’s time to grab a flashlight and head to Beaumont Children’s Hospital in Royal Oak. That’s where you can help by being a part of Moonbeams for Sweet Dreams. I love it. Kids in for long stays get so bored, they will know they aren’t forgotten in there. May the cause by enriched, Beth. This event sure is rich! Lovely. Simple kindnesses are the best. That’s really good stuff. Thanks. What a thoughtful, wonderful program! Lovely. What a fabulously simple and effective activity! Whoever came up with this idea deserves a medal. What a wonderful thing to do!! This is the loveliest story I have read today. Thank you.